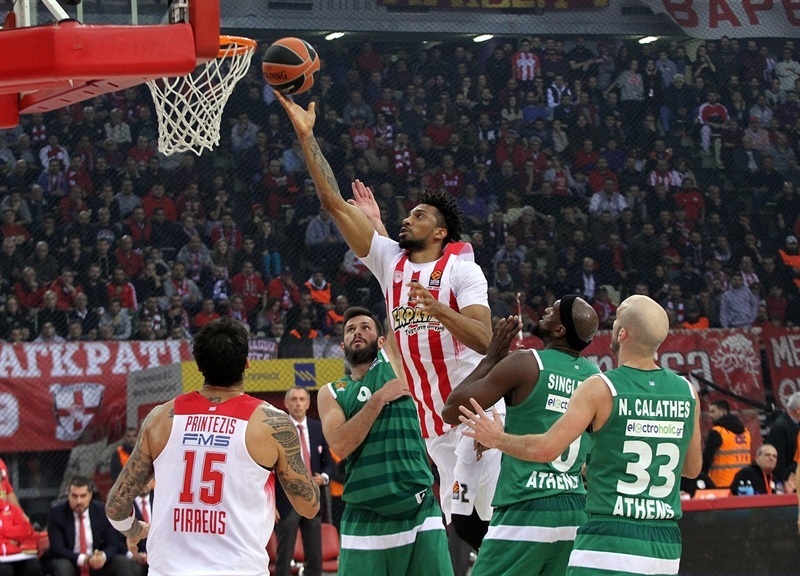 In an intense and physical Athens derby, Olympiacos Piraeus grabbed its sixth win in its last seven Turkish Airlines EuroLeague games by downing archrival Panathinaikos Superfoods Athens 77-69 in front of a sellout crowd at Peace and Friendship Stadium on Friday. 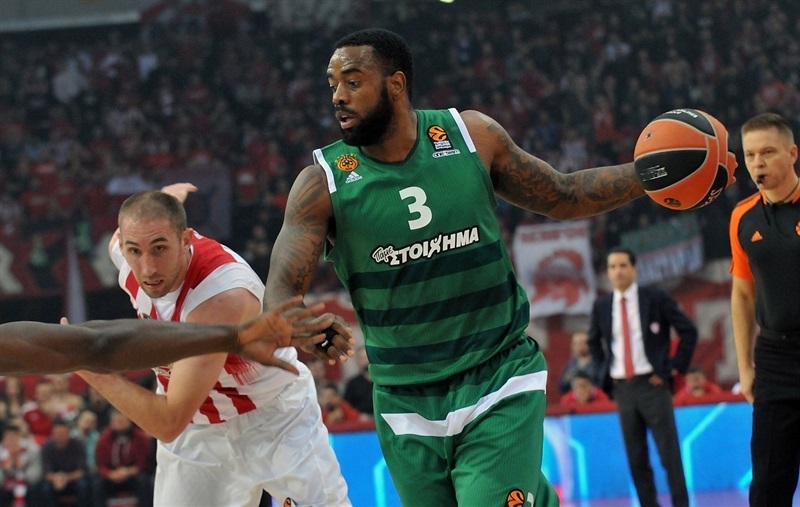 Olympiacos improved to 11-5, while Panathinaikos dropped to 9-7. 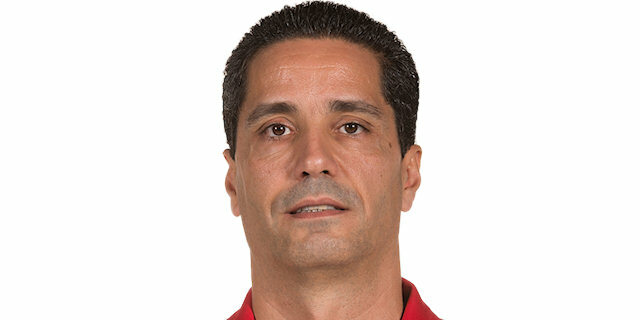 The Reds won both games against Panathinaikos, giving it the tie-break advantage if needed. 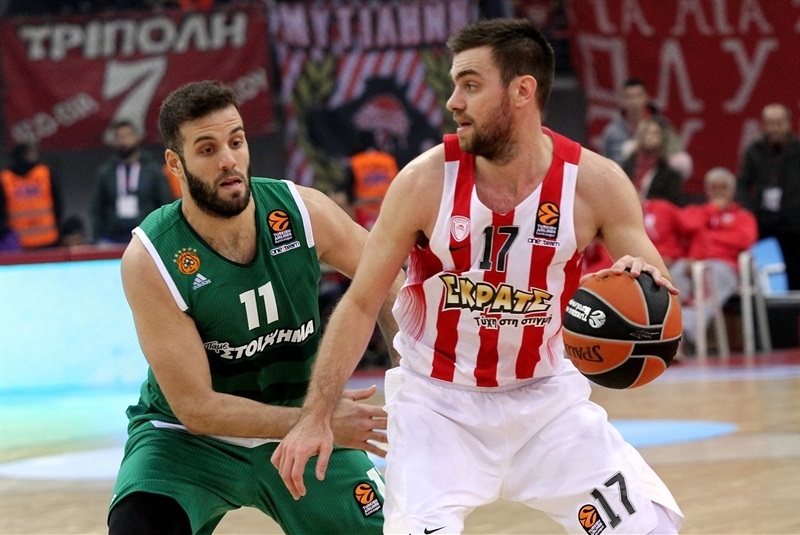 Ioannis Papapetrou led the winners with 13 points, Vassilis Spanoulis scored 12, Khem Birch 11 and Erick Green had 10 for Olympiacos. 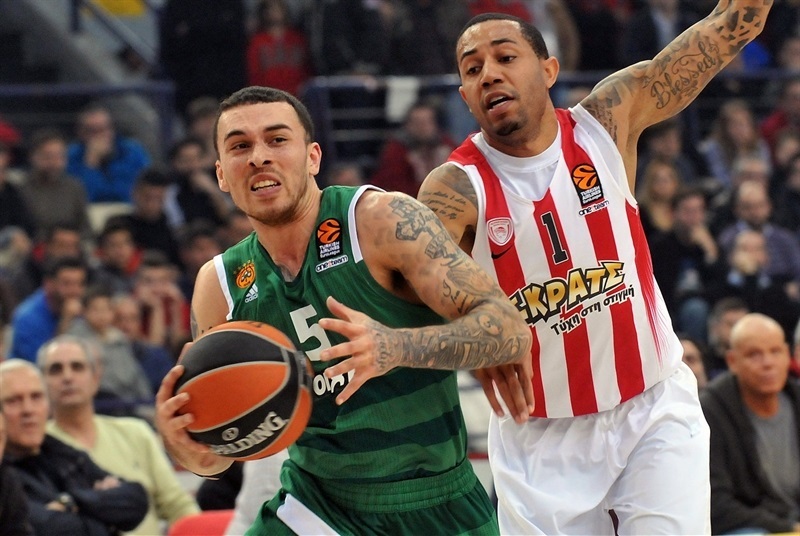 Mike James led Panathinaikos with 24 points and K.C. Rivers added 23 for the Greens. James and Rivers combined for 40 of Panathinaikos's 50 points through three quarters. Olympiacos outrebounded Panathinaikos by 34-27 and limited Panathinaikos to poor shooting percentages - 44.2% from two-point range and 36.8% from downtown. 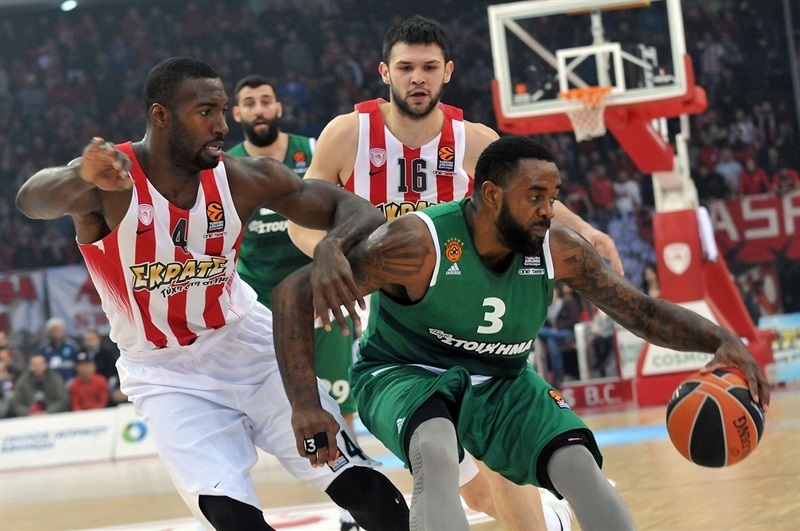 Olympiacos had 16 assists and Panathinaikos only dished 9. 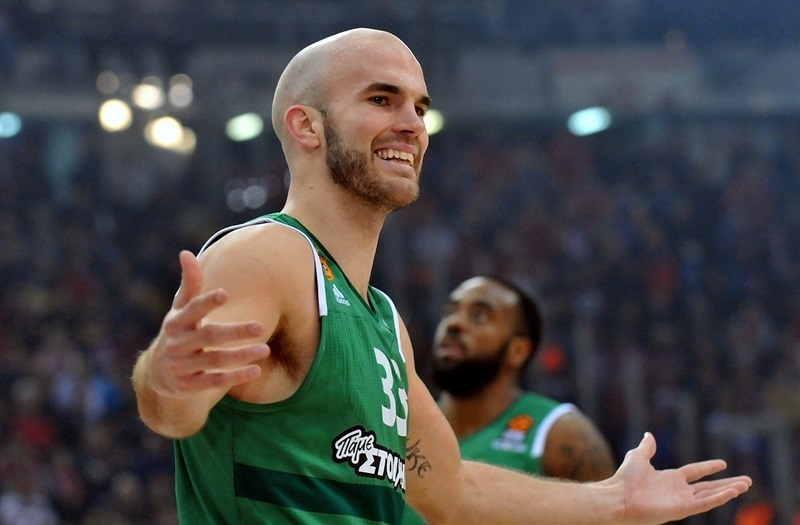 Nick Calathes got Panathinaikos going with back-to-back layups in a very physical start of the game. Consecutive baskets by Birch gave Olympiacos its first lead, 7-5. Birch kept the momentum going with a put-back layup and another close basket. 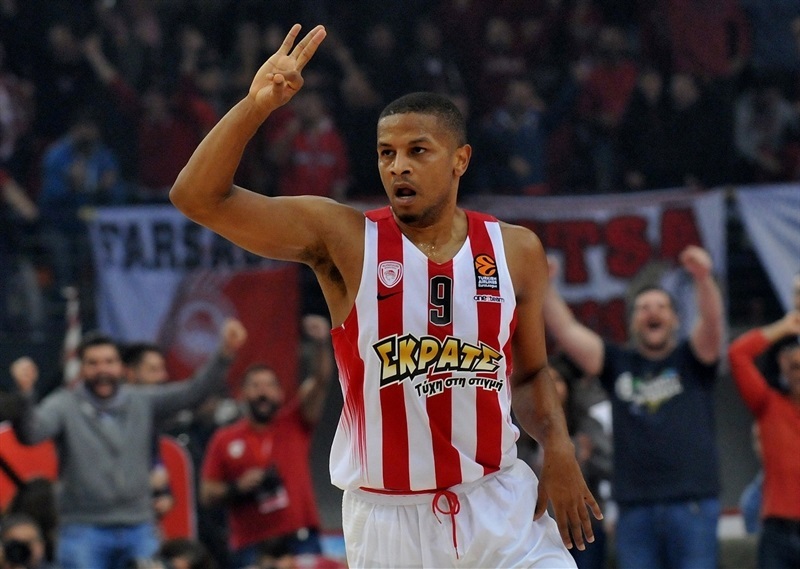 He got help from Spanoulis and Papapetrou to make it an 8-point game. James hit a jumper and added a big chase-down block and a couple of free throws to make it 17-11 after 10 minutes. Nikola Milutinov shined with an alley-oop layup early in the second quarter. James stepped up with a put-back layup and Rivers singlehandedly brought Panathinaikos within 21-18. Rivers struck from downtown and added a jumper to cause Olympiacos to call timeout at 24-23. 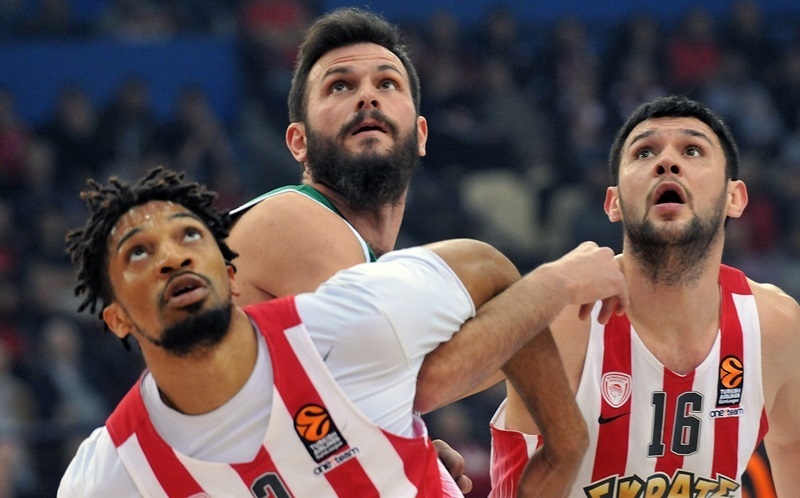 Kostas Papanikolaou followed a layup-plus-foul with a triple and an outstanding Patric Young kept Olympiacos ahead, 34-28. James and Rivers kept pushing Panathinaikos, keeping the visitors within 38-37 at halftime. 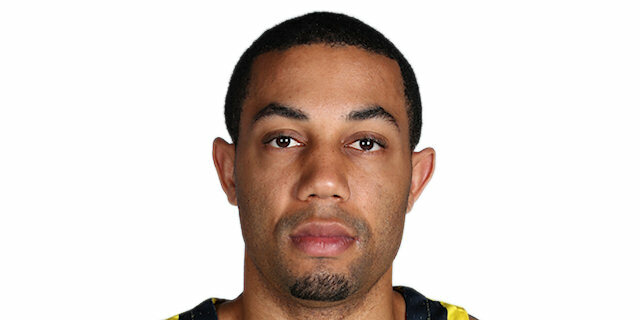 Rivers scored in the low post as Panathinaikos regained the lead, 38-39, early in the second quarter. 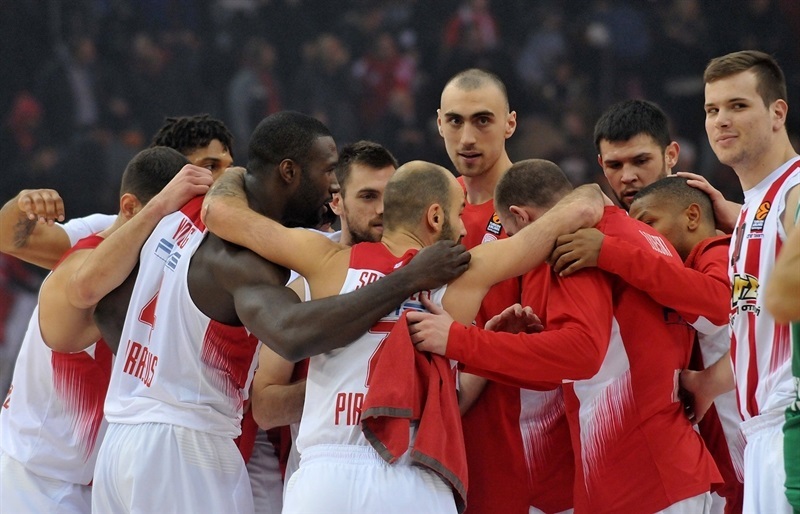 Georgios Printezis and Spanoulis stepped up for Olympiacos, but a three-pointer by James kept his team in charge, 43-46. James nailed a step-back jumper before free throws by Lojeski and a three-pointer by Papapetrou ignited the crowd at 50-48. 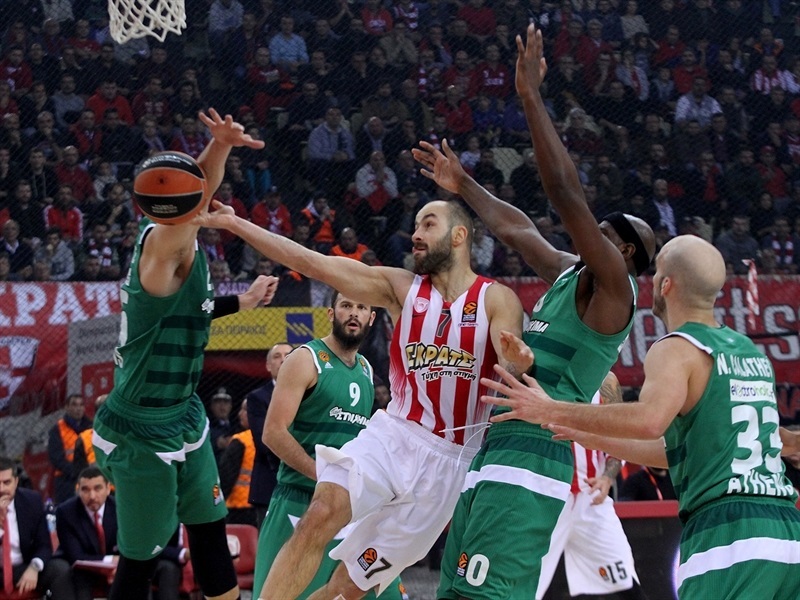 Lojeski hit a floater off the baseline and Green buried a triple for a 55-50 Olympiacos lead after 30 minutes. 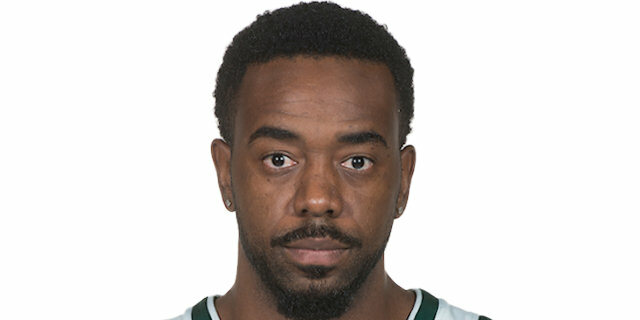 Green took over early in the fourth quarter and a three-pointer by Dominic Waters made it a double-digit game, 64-53, with less than seven minutes left. James and Rivers got help from James Feldeine, whose fast break slam causedc Olympiacos to call timeout at 65-59. Singleton hit a triple, but Papapetrou struck twice from downtown and added a wild coast-to-coast slam for a 73-64 advantage. 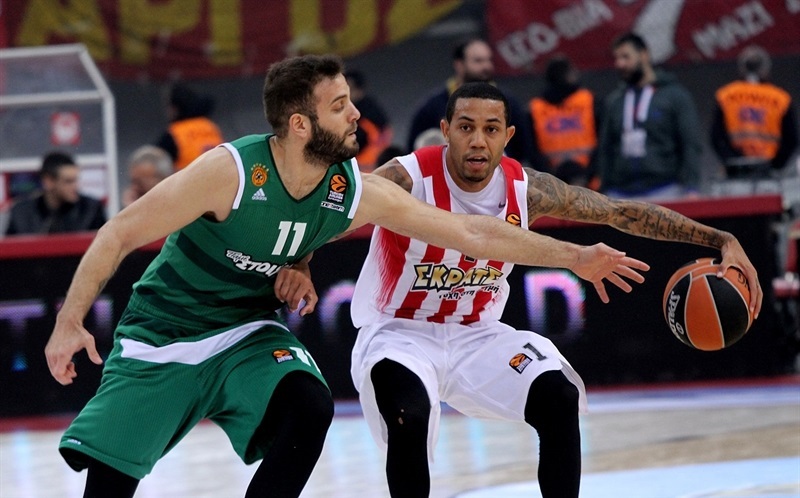 A layup by Spanoulis sealed the outcome as Panathinaikos could not recover in crunch time. "This is a very big win for us, because every EuroLeague win is very important and also because we beat our great opponent Panathinaikos. It is a win that gives us good momentum and for sure, it is very important that we beat Panathinaikos one more time. The game was a derby from the beginning - I think we played great defense in the first period, keeping Panathinaikos to a low score. Unfortunately, we didn't continue with that concentration in the second period when they scored 26 points. We had a small lead at halftime and talked about the need to be more focused defensively. The third period was very close for both teams, but it is very important that even when we missed some easy layups, we kept them to 13 points in the third quarter. In general, our defense was the key to win the game. With our good defense, we controlled the game and when we found the rhythm on offense, we scored transition points and important three-point shots. This gave us the lead to win the game. Congratulations to all my players - you know I don't talk about injuries, but we had problems these five days to practice with the whole team. 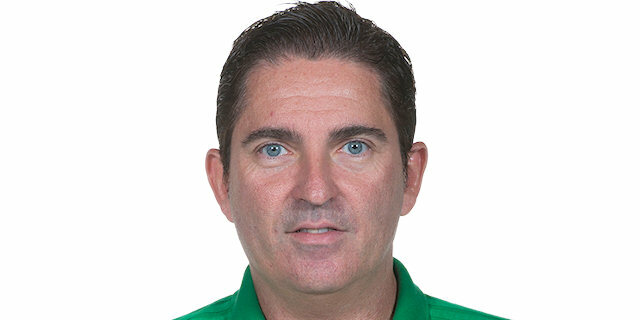 Our injured players are much better, thanks our medical staff and physiotherapists. We need to carry on being humble, work hard and improve our game. Finally, I want to thank our fans for the atmosphere we had today. They were great and supported the team whenever we needed a small push." "First of all, congratulations to Olympiacos for this victory. I think that in the first 10 minutes, we lost some opportunities to score under the basket and were not well-organized. We improved a lot of things in the second quarter, on defense and offense; this is why we changed the game and the score was clear at the end of the first half. Then I think we lost the chance to win at the end of the third quarter. We had 2 turnovers and Olympiacos scored 2 three-pointers, very important ones. 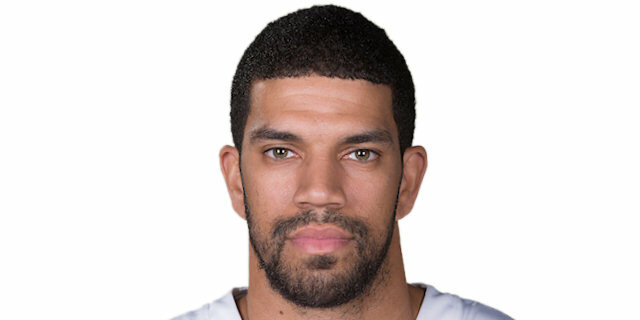 We kept our chances open in the fourth quarter and were up by 3 at some point, but lost control in the final three minutes and could not win this game." "Good defense for three quarters was the key to win tonight. We played bad defense in the second quarter, but played very good defense at the end of the game, locking them up in isolations. I felt like I was going to start strong in this game. Our fans were amazing, I wish they could come out to every game like this. I love playing against Panathinaikos because they are out there, supporting us and celebrating in the end." "It was a big win. 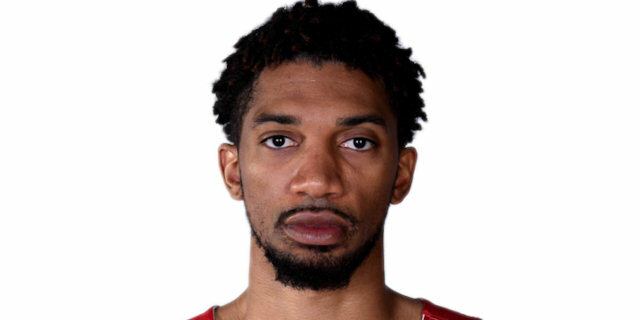 Khem Birch stepped up huge in the first half and we played as a team, played good together. It was a great win. Papapetrou stepped up huge in the fourth quarter, but everybody played well tonight. That is what is great about this team, everybody steps up and can do it any given night. Our fans are the best ones in the whole EuroLeague, unbelievable! We thank you for your support, without you guys, this wouldn't be possible." "They wanted it more than us. We had a chance to win the game, but Papapetrou made 2 big threes and that was the game. We just need to get better. It is another game and a long season, we just have to get better. We had the game, if Papapetrou did not make those two (three-pointers), I think it would have been our game, but they made good plays down the stretch." "We had control of the game for 30 minutes, but were careless and allowed them to have confidence. Once they had confidence, it is hard to stop this team, playing at home with this atmosphere, that is what happens. We have some games to focus on before we face them again in the Greek Cup. We face a game against Efes right around the corner. We have a tough schedule and have to really get back to video and do what we need to do to be better. Right now, we have to fix ourselves mentally and get ready for the next game."